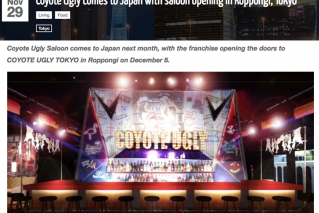 Coyote Ugly Saloon has come to Tokyo!! Click for the Japanese website. Check back soon for more events or see information below! Visit www.coyoteuglysaloon.jp for the website in Japanese.